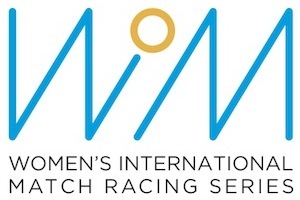 Eleven teams from around the world have arrived in Ekaterinburg, Russia to compete in the Women’s Match Racing World Championship 2018. Racing will begin on the Verkh-Isetskiy pond tomorrow. Today the teams arrived to beautiful sailing conditions, completed the registration and spent the afternoon practicing on the water. Defending Champions Lucy Macgregor and her Team Mac from Great Britain are looking forward to the opportunity to defend their title. The teams were greeted by a bright and sunny day with good racing wind as the teams practiced in the Ricochet-747 boats. While the three Russian teams were already familiar with the boats, the foreign teams took the opportunity to get familiar with local venue, racing area and boats. Tomorrow the first start is planned at 10:00. In the evening after racing the Opening Ceremony of the Women’s Match Racing World Championship will be held together with opening of the new building of the Gubernskiy Yacht Club Komatek. The photo and video are provided by FLASHBACK STUDIOS, New Zealand.